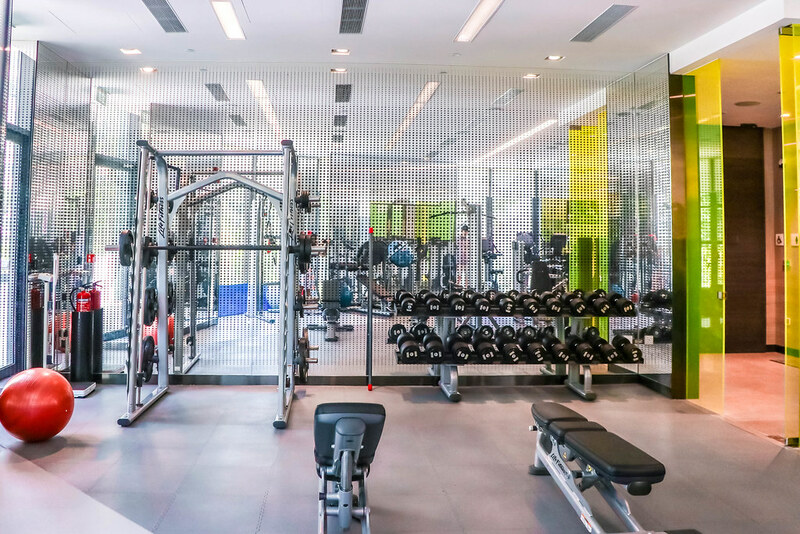 Novotel Singapore on Stevens is conveniently located in the heart of Singapore, minutes from Orchard Road, Asia’s famous shopping and entertainment hub. 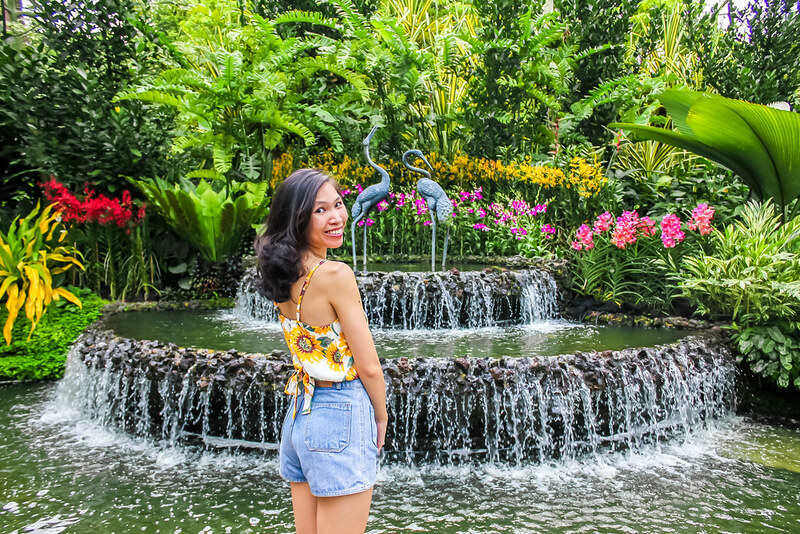 With easy access to bus stations located right outside the hotel and close to Stevens and Orchard MRT, you can easily explore the Singapore Botanic Gardens, a UNESCO World Heritage Site, as well as other cultural districts of Chinatown and Little India. Upon entering the hotel lobby, Jayden and I were greeted by a contemporary chandelier that has a series of crystal droplets illuminated by optic fibre points to reflect the rejuvenating precipitation cycles of Singapore. 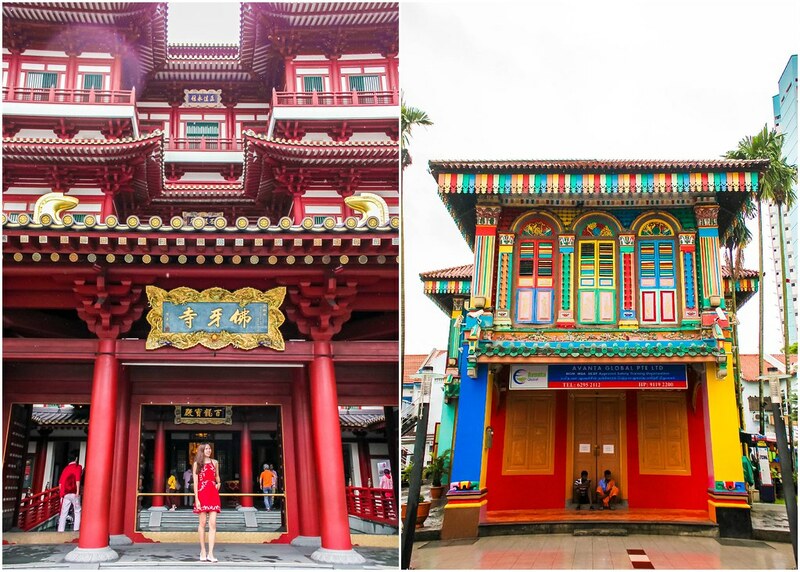 We were very fascinated and proceeded to ask the receptionist more about the architecture. The chandelier is designed to form a multitude of cascading rain drops that elicits a feeling of calmness reminiscent of the stillness just before a heavy rainfall. 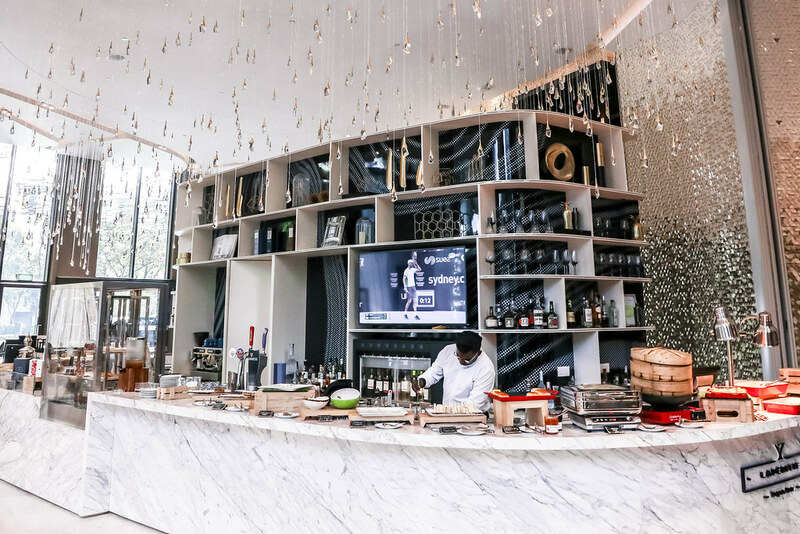 No wonder we felt so relaxed during high-tea at L’Aperitif, the stylish bar set in the hotel lobby. 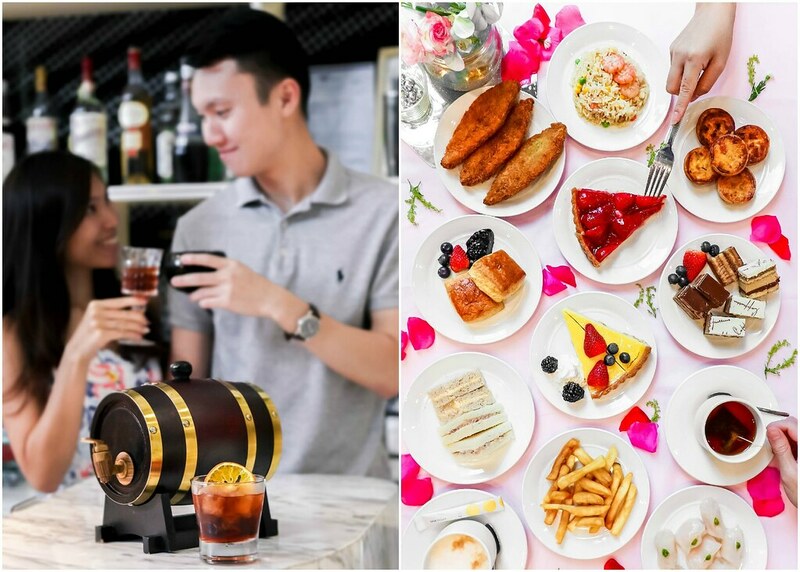 Novotel Singapore on Stevens offers you the freedom to enjoy a full-service experience that meets every expectation. 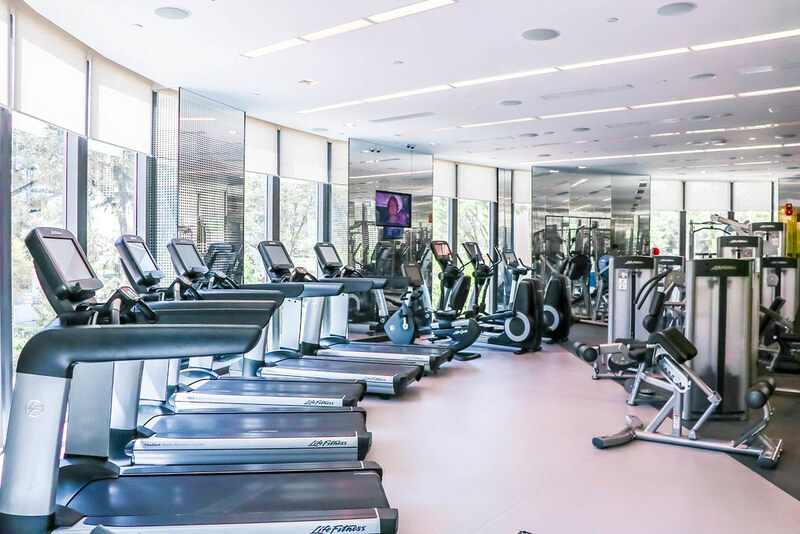 The sleek comfort and spaciousness of the 254 rooms are designed to meet your needs. 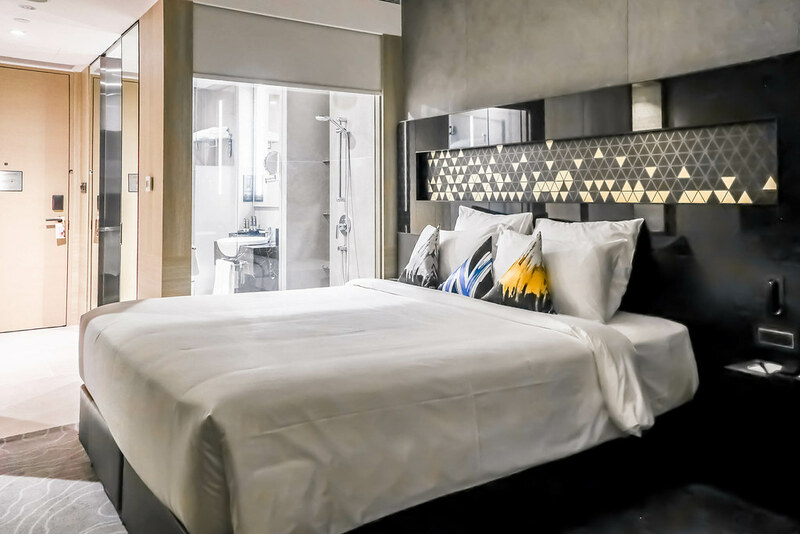 The guest rooms feature the ‘Live N Dream’ bed system, foldable signature Novotel smart pillows, a large flat smart TV, free WiFi and eco-friendly room amenities. You will have everything you need for a pleasant stay either alone, with a partner or with your family. While Jayden was obsessed with the INBALANCE 24-hour health and fitness centre, I was busy making splashes in both the 35-metre lap pool and the infinity pool. There is also a tennis court available. 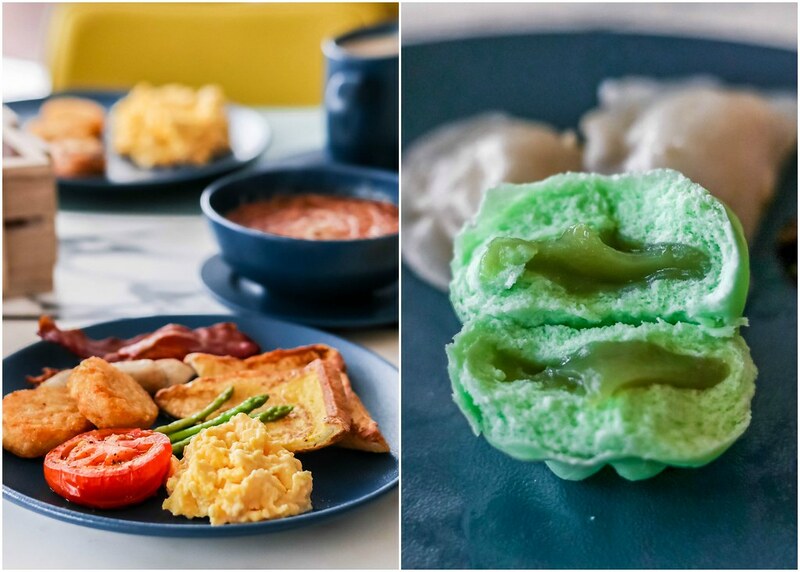 In the morning, discover the thrilling simplicity of flavourful cuisine that has inventive yet well-balanced dishes at Food Exchange – a buffet restaurant surrounded by a lush leafy backdrop with an infinity pool. 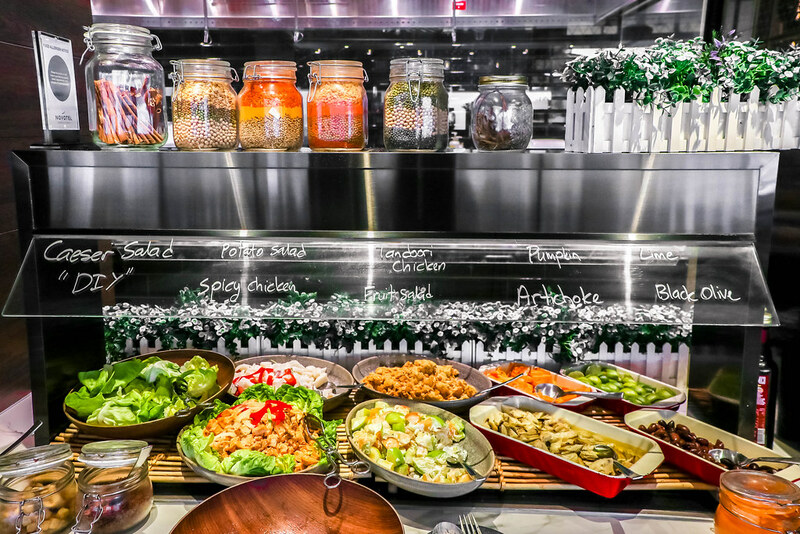 Wake up to a tempting variety of international options skilfully prepared using the freshest of regional ingredients at the open kitchen stations. 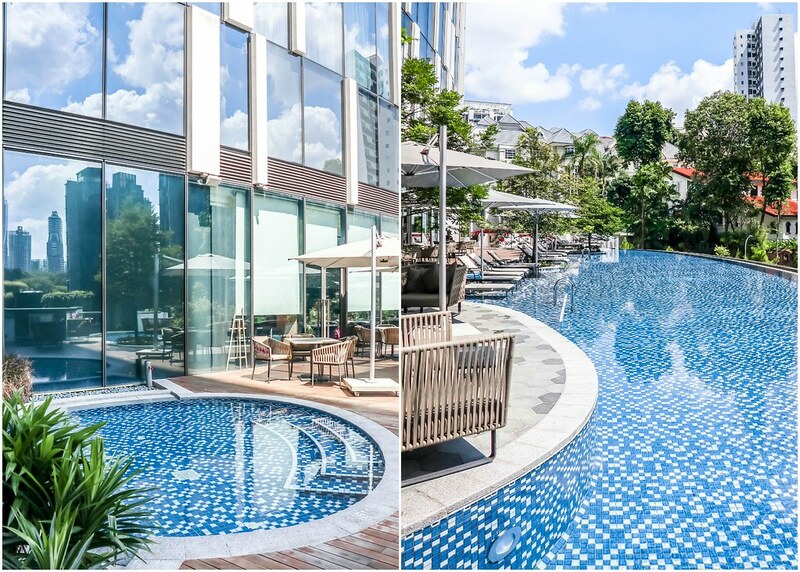 Novotel Singapore on Stevens is a peaceful oasis in the heart of Singapore. 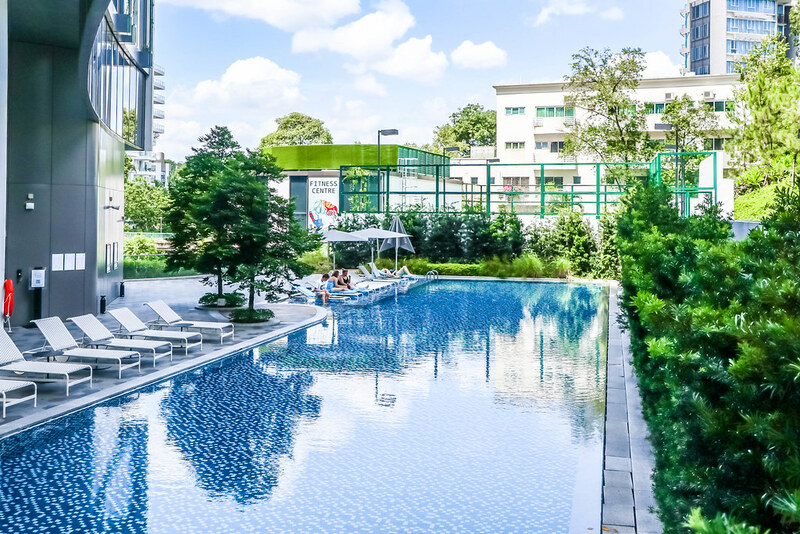 You can easily escape the bustling streets in Orchard, and enjoy the tranquil hotel environment. 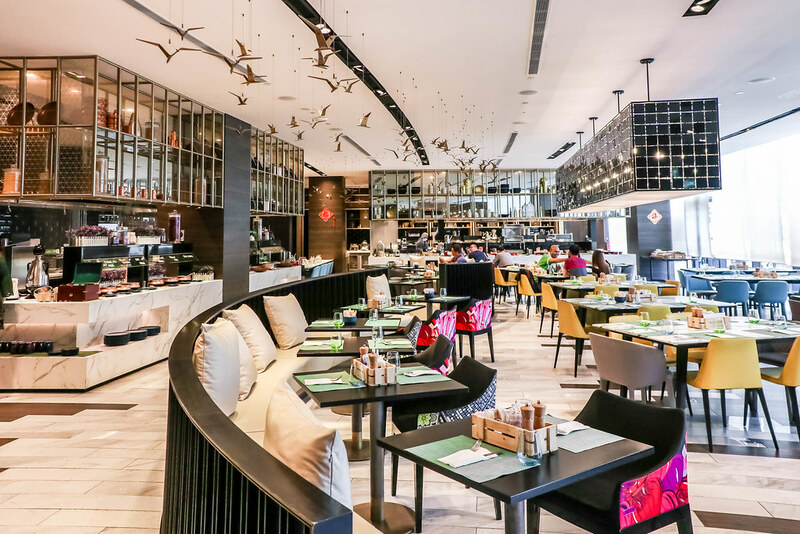 On top of the dining outlets situated in the hotel, there are a number of other dining outlets surrounding the hotel that offer local food, Italian food, Japanese food, and authentic Indian food, just to name a few. 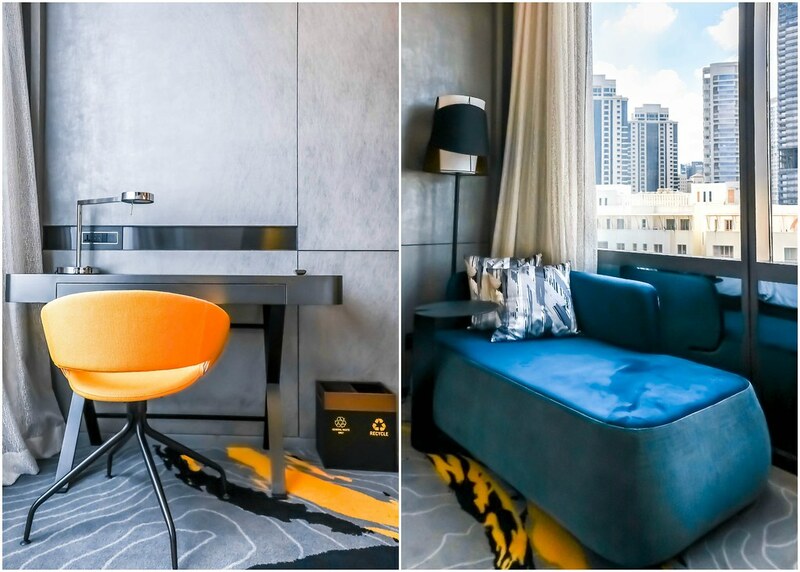 If you haven’t adjusted to Singapore’s hot and humid climate, you wouldn’t mind spending most of your vacation time in the hotel.